You don’t want a long, uncomfortable experience with your orthodontic treatment. Thankfully, there are a wide variety of technologies available now geared towards safely and comfortably reducing your treatment time. One of the many cutting edge orthodontic services available for you or your teen through Cory Liss Orthodontics is the PROPEL treatment, which works in tandem with your or your teen’s braces or Invisalign aligners to accelerate treatment even further, reducing up to 60% of your treatment time! 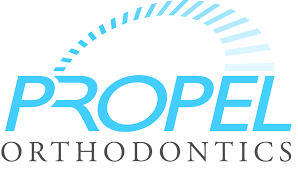 PROPEL Orthodontics is a simple and quick three-step procedure carried out in-office that works directly with the biology of your mouth to accelerate the bone-remodeling of your teeth. We first numb your gums, and then we apply a device that vibrates and stimulates the bone, encouraging the teeth to shift into new positions faster and with more predictability. This procedure is non-invasive and involves minimal discomfort, and can be done without taking too much time out of your day. Give us a call at Cory Liss Orthodontics to learn more about the PROPEL treatment.